For the past decade, United Way has focused its work on creating positive, lasting change in Dane County, with the community guiding the way by determining the most pressing issues. This has become United Way’s guiding force for change called our community’s Agenda for Change. One of these three key pillars is the area of Health. United Way’s Healthy for Life Community Solution Team, volunteers who make funding decisions in the area of Health, keep these socio-economic factors in their view when making funding decisions. 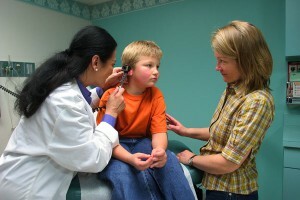 It is this integration that makes all the work United Way does connected to Health. “Solving problems at their root cause is what United Way is all about,” says Sandy Erickson, Director of Community Impact at United Way of Dane County. Work in the Health area of ensuring people’s health issues are identified and treated early is touched by all the facets of United Way’s work.